Want to Join Us? Register Here!! 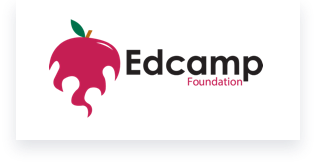 ​EdCamp is an “unconference” model of professional learning, meaning there are no vendors, no keynotes, and no set session schedule until you arrive. What does that mean? With this participant-driven professional learning model, the participants set the schedule of sessions the day of the event, and anyone who chooses to facilitate a session may do so. Participants are encouraged to “vote with their feet” and change sessions at any time they wish in order to best meet the learning needs of the educator. This FREE event is open to anyone who wishes to attend. EdCamp Paulding will be held Wednesday, June 20 at the Dianne Wright Innovation Center. Thank you to our amazing sponsors! !